From affordable centerpiece elements to complete displays, Weddingstar's selection of wedding centerpieces and reception table decor will help you bring together an authentic, eye-catching wedding centerpiece motif in your particular wedding setting. We think that designing and executing centerpieces is one of the most exciting parts of putting together your wedding decor theme, and the right finishes can take a relatively bare bones venue from simple to show-stopping. 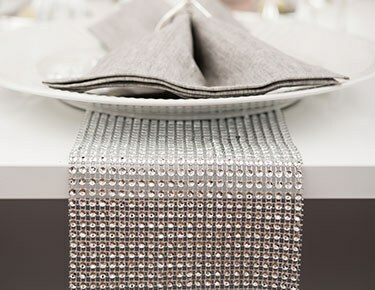 We have wedding centerpieces for all themes, including birdcages, decorative vases and bottles, containers, props and multipurpose embellishments that are sure to get your wheels spinning.DIY brides and grooms will find an amazing assortment of centerpieces for wedding themes ranging from down-to-earth to downright decadent at Weddingstar. You can transform low-cost essentials like pressed glassware and vases into elaborate centerpiece displays when you add silk or fresh flowers, vase fillers, ribbons, confetti and other accents that complement your theme. Our ultra-versatile centerpiece containers and vases can also be used to bring a stylish, unified look to the dessert display, buffet table or sign-in table. We have vases, flower baskets, suitcases, candy jars, glass boxes, display drawers and more that make the ideal starting point for custom, DIY wedding centerpieces.You'll also find gorgeous figures and displays that you can use to add height and dimension to the center of your table. 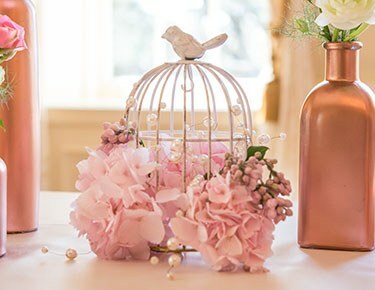 We have everything from rustic tree centerpieces for wedding styles that skew earthy to an amazing selection of centerpiece birdcages that look wonderful amidst any antique or garden party themed table setting. 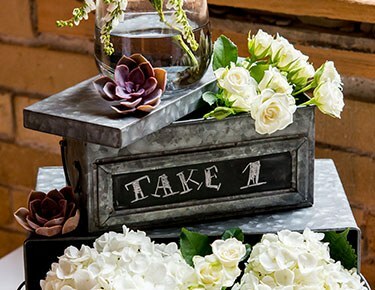 Create a truly original table display when you pair our multipurpose props and decorations - moss frames, lace parasols, charming buttons, personalized stickers and more - with the decorative containers and floral accents of your choice. 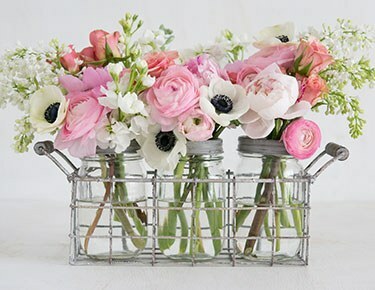 Add your own personalized finishing touches and you've got centerpieces to remember forever!